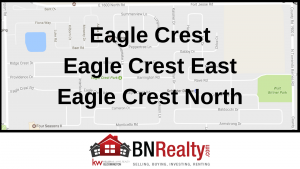 The Eagle Crest, Eagle Crest East, and Eagle Crest North subdivisions are located on the East side of Bloomington. They sit directly north of the desirable Hawthorne Hills neighborhood and south of Royal Links, so be assured that this is a wonderful area to raise a family. Near the intersection of Airport Road and Fort Jesse Road, Eagle Crest can be accessed from Eagle Crest Road off of Airport. 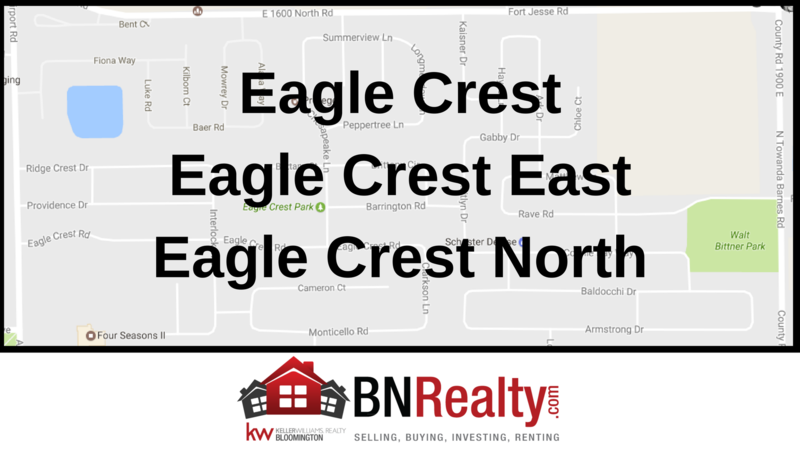 With a median list price of $210,000 owners here in Eagle Crest get an exceptional home in an up and coming neighborhood for a great price! These homes were built in the 1990’s and most of them have updates that today’s buyers are looking for. Our favorites here at BN Realty include the homes with four seasons rooms, eat in kitchens, crown molding, wood burning fireplaces, huge walk-in closets, finished basements with activity rooms for kids and so much more. All parts of the subdivision feed into Grove Elementary, Chiddix Jr. High and Normal Community High School. These schools all boast high ratings and are well known in the Bloomington-Normal community. With convenient access to Veteran’s parkway, Eagle Crest’s location is close to restaurants, shopping, various activity centers, and parks. Walt Bitner Park and Tipton Park are a couple of Bloomington’s finest and are both within walking distance to the residents here. There’s even a smaller park with a play area inside the subdivision itself. This is great if you’re looking for a private and safe area for your children! Taking a walk, run or bike ride on the Constitution Trail will likely become one of your favorite things to do if you live in the area. The natural scenery is breathtaking early in the morning at sunrise and is just as stunning in the evening with the sun setting in the background. If you’re an athlete or looking to start exercising more, you’ll be happy to know that Four Seasons II Health and Fitness Center is considerably close to the neighborhood and is an option for those looking to do activities inside. You’re certain to see many of your friends and neighbors there, as the fitness center is a staple of the community. We would highly recommend that anyone living as close as the residents in Eagle Crest check out their workout class schedule. We at BN Realty would like to give our readers a challenge this week! If you’re searching for your next home, allow us to take you through Eagle Crest and the surrounding subdivisions. 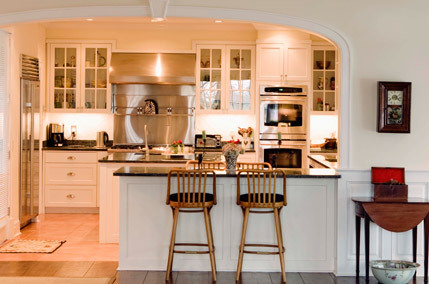 We will bet that we can show you a great home in the area that fits your needs and impresses you! We are very confident that there is something to offer for everyone and we want to be the ones to find it for you. Please call us at (309) 319-6030 right away so that we can set up a meeting with you.